Chief Executive Officer & Chief Operating Officer of Bundlefi. 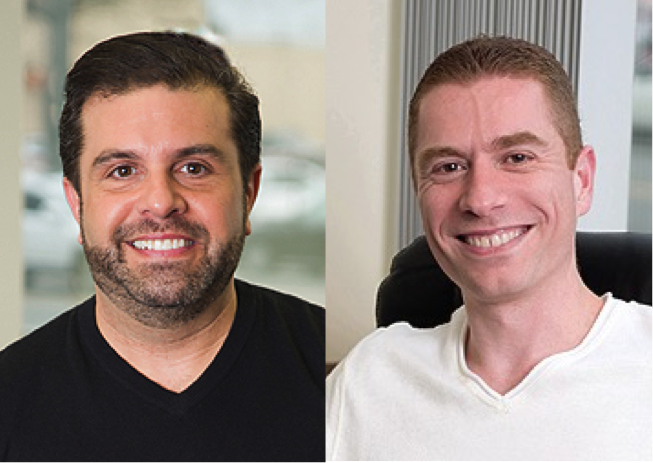 Family Office Insights sits down with Greg Pellitteri, CEO, and Michael Packman, COO, of Bundlefi, to discuss their online portal that facilitates real banking relationships between consumers or small businesses and the Community Financial Institutions in their local markets. Tell us about your background and your company, Bundlefi. I began my career in retail banking from commercial lending to personal checking, ultimately becoming Business Development Officer and Relationship Manager at JPMorgan Chase. In this client-facing role, I recognized how essential transparent and authentic client-banker relationships are to best serve the need of each individual. After serving 14 years in business development at a mega bank, I opted to work on client-banker relationships at another level, smaller and local. I served as Vice President of Business Development as a regional New York bank, Sterling National Bank. During this period, I became aware of all the services a community bank offers, similarly to a mega bank, but with the added personal touch. When the 2008 Recession hit, people needed a different kind of banking service, one that didn’t only serve and benefit the megabanks. While the economy bounced back since then, this created an opening for regional banks, community financial institutions (CFI’s), and credit unions to compete with mega banks—if only they could just get their message out and reach a larger audience. Already interested in bridging the gap between the digital and finance world, I wanted to bring more individuals into local banks by connecting them through an online platform. I began initial beta testing on some websites I built and quickly realized that there was an opportunity for this in the market. I approached Michael Packman, a former client of mine and now Chief Operating Officer of Bundlefi, to join me on this mission. Prior to becoming COO of Bundlefi, I began my career more than 20 years ago at a boutique private wealth management firm. In 2003, my entrepreneurial spirit took over and I formed my own financial firm, which I built from a one-man start-up to a multi-million-dollar business. I am also well versed in real estate, where I am a contributing columnist for the New York Real Estate Journal, specifically on the topic of the 1031 Exchanges, which allow investors to sell a property, to reinvest the proceeds in a new property, and to defer the capital gain taxes. Our focus on real estate led me to co-found the firm, Keystone National Properties. I was always interested in investing in and working with new businesses, so when Greg contacted me about connecting consumers to the community financial institutions CFI’s, I was on board. We both wanted to simplify the search for a great CFI that also benefits the local community in return. Since 2012, we have worked together to beta test and build out what is now Bundlefi, officially incorporating at the end of 2014. Since then, we’ve built a solid team consisting of incredible management, sales people, and strategic partners. Bundlefi is a digital platform that connects consumers and businesses with CFI’s. CFI’s offer a much more personalized banking experience, unlike the mega banks where you are just another number. Our goal, by expanding the reach of CFI’s, is to put relationships back into banking. Our platform matches the prospective client with the right CFI. All that they need to do is sort the CFI’s by services, products, and distance, and then click “Connect Me”. Bundlefi then informs the CFI to take its next steps. At Bundlefi, we don’t sell financial products; we simply connect people with the institutions. Who is Bundlefi’s target audience? Our target market grows every year—approximately 4 million people in the US turn 18 years old every year adding to the 80 million that already make up the millennial generation. Generally, a young individual at that age looks to open a bank account; apply for a debit/credit card; or request a student loan. Although we work with any consumer in any age bracket, we found that the millennial age group is the biggest chunk of the market, which also includes first-time homebuyers and loan applicants. These services can be a tedious and confusing milestone for many first-timers, but local and regional banks are not only capable of servicing those needs, they are generally much happier to work with clients personally, which often lead to better lending. On the financial institution side, our model is simple. Take out the top 12 major banks in the world, and anything under that is our target. There are 10,000 community based financial institutions in the US with about 140,000 branches. What’s interesting is that 95% of the banks in the country are not mega banks; the mega banks only represent 5% of the market, but take up 75% of the market share. We already have clients in Illinois, Massachusetts, Michigan, New York, Ohio, and Pennsylvania, however are expanding in new markets at an exponential rate. As with any new start-up, we face the challenge of getting brand recognition both from consumers and financial institutions. To accomplish this, we have a sales team calling on CFI’s and are working closely with the Community Banking Associations. On the consumer side we are using a combination of SEO, Paid Search, Email, Social Media, and consumer data analysis. This allows us to reach our target audience effectively and efficiently. We plan to grow steadily and profitably by using a scalable model. It is subscription-based, consisting of a small fee for interested financial institutions of $200 a month per branch. By offering a low introductory price, we level the playing field by making the fee affordable for institutions of any size. However, we know that once we deliver results, they will happily pay a higher price for the service. Who are your key competitors? How are you different from your key competitors? It’s difficult to find pure competition, aside from those that have built their business models around the mega banks. Companies like NerdWallet, Credit Karma, Bankrate, and GOBankingRates have very different missions from us. They all focus on the big banks, are product-focused and generate revenue through a cost per action model. We never get paid for matching a consumer with a CFI. The mega banks have an incredible global reach, but how many everyday individuals actually use all the bells and whistles those banks offer, unless you’re a large corporation, chances are slim. Many CFI’s offer a lot of the same perks as the mega banks, such as mobile banking, credit cards, and ATMs, all with the flexible services that big banks are unable to offer. At Bundlefi, we emphasize local and community-based in our mission. Many of the major banks have the means to open multiple branches but the money earned from a local branch goes back into funding its own corporate project or real estate investment, while the smaller local financial institutions contribute back to the community they’re located in. Bundlefi changes the way people view their finances and empowers them to take charge of it. With Bundlefi, CFI’s are given a channel to promote their services and engage with clients directly, all without the hefty marketing spend big institutions tout. If an individual institution attempts to do what Bundlefi offers, it becomes a costly and technologically difficult endeavor for them; we alleviate the growing pains and as we don’t sell financial products, so we don’t have the compliance restrictions they do. We also provide financial institutions the analytical data specific to their branch locations, which we then analyze and present findings on what they’re doing well and where the opportunities are. We believe in diversifying the banking landscape so that the community bankers that do all the heavy lifting don’t fall behind in the shadows of the mega banks. Following the Bank Bailout of 2008, it confirmed the need for community financial institutions to be strong and prominently used in their communities, (CFIs) so that the US economy doesn’t fall trap to the “too big to fail” problem again. Who is your ideal investor? How much capital are you looking to raise? We launched the end of last year and already have over 250 branches signed on and have generated over 1000 leads. We have a team who has worked hard to get us to where we are today and have proven that we have customers on both sides. We anticipate generating revenue within the next few months. Currently, we have over $500,000 invested and are looking to raise an additional $250,000 to complete this round, which will cover marketing, expansion of our sales team and general overheard expenses. We are offering a 10% note that will convert at a 30% discount to our Series A round. Bundlefi’s mission is to connect consumers and businesses with community-based institutions. We are currently building out our sales team to continue to grow the momentum surrounding Bundlefi, expanding our marketing efforts and technology including exploring the use of blockchain. We have just launched Bundlefi and planning to be become revenue generating in the near future. Greg Pellitteri is the Chief Executive Officer & Chairman: Bundlefi is the brainchild of Greg Pellitteri. With over 18 years experience in both large and boutique financial institutions, Greg brings deep expertise in retail banking customer acquisitions and relationship management. His focus was on commercial deposit and lending deals of $1mm-$50mm domestically and internationally. 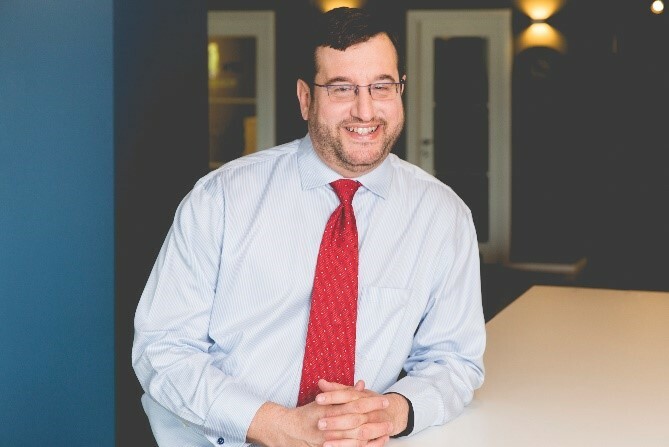 During the course of his career, Greg has worked at JP Morgan Chase, State Bank of Long Island and most recently, was the VP of Business Development at Sterling National Bank. For more information, please reach out to Greg at greg@bundlefi.com. Michael Packman is a founder of Keystone National Properties. Packman began his career more than 20 years ago at a wealth management firm, where he quickly became the youngest Vice President in the firm’s history. Additionally, he oversaw the Long Island region for the brokerage arm of a major international financial firm. In 2003, he formed his own diversified financial company. After the downturn, real estate became a major focus of the firm and has led it to becoming one of the most respected independent financial advisory firms in the 1031 space. Packman frequently speaks at a number of nationally recognized real estate conferences throughout the country. Packman is the 1031 expert contributor for the New York Real Estate Journal and has been featured in the Real Deal. Packman is a well-respected leader in his industry, serving on several advisory boards. For more information, please reach out to Michael at mike@bundlefi.com.